I love Psalm 71 because it really is a mouthful. 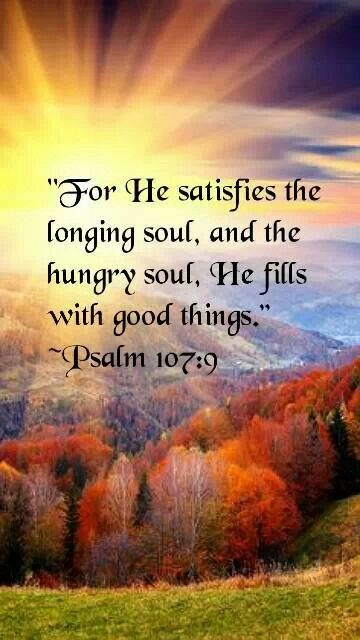 The psalmist reminds me I need to do more filling, telling shouting, singing and talking about the Lord whenever I get hungry. Verse 8 says, My mouth is filled with your praise, and with your glory all the day. Verse 15 says, My mouth will tell of your righteous acts, of your deeds of salvation all the day, for their number is past my knowledge. Verse 23 says, My lips will shout for joy, when I sing praises to you: my soul also, which you have redeemed. I want to eat more of the Word versus eating my own words. How hungry are you?